receives their increase in turn. The motif of Triple Goddess is near ubiquitous in Neo-Paganism. The Triple Goddess is three goddesses in one: Maiden, Mother, and Crone, represented by the waxing, full, and waning moons. “But, again, the moon is Hecate, the symbol of her varying phases and of her power dependent on the phases. Wherefore her power appears in three forms, having as symbol of the new moon the figure in the white robe and golden sandals, and torches lighted: the basket, which she bears when she has mounted high, is the symbol of the cultivation of the crops, which she makes to grow up according to the increase of her light: and again the symbol of the full moon is the goddess of the brazen sandals. “Or even from the branch of olive one might infer her fiery nature, and from the poppy her productiveness, and the multitude of the souls who find an abode in her as in a city, for the poppy is an emblem of a city. She bears a bow, like Artemis, because of the sharpness of the pangs of labour. “And, again, the Fates are referred, to her powers, Clotho to the generative, and Lachesis to the nutritive, and Atropos to the inexorable will of the deity. It was this last trinity — Maiden, Mother, and Crone — which became the most common in Neo-Paganism. Interestingly, Graves goes on to combine the various aspects of these trinities into a “quintuple” Goddess, and describes “the five stations of her year: Birth, Initiation, Consummation, Repose and Death”. The image of the Triple Goddess was seized upon by feminist Neo-Pagans in the 1970’s to promote a revaluation of femininity. The Triple Goddess in her various forms valorizes aspects of femininity which have been denigrated historically, including menstruation (Maiden), childbirth (Mother), sexuality (Lover/Bride), and menopause (Crone). Most notable is the feminist reclaiming of the word “crone” to mean a wise woman. 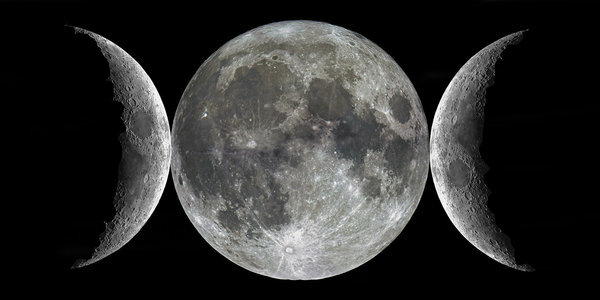 The Triple Goddess image later came under attack by feminists who criticized the over-emphasis on women’s fertility and sexual desirability to men. They point out that not all women become mothers, for instance. 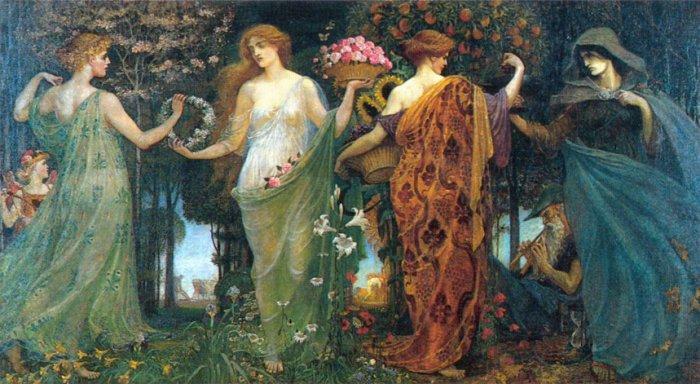 But there is another meaning to the Triple Goddess, aside from the dignity it may or may not bestow on womanhood. The idea that Neo-pagan Goddess has a life cycle that mirrors that of all women highlights that change is at the very center of the Neo-Pagan concept of divinity. Likewise, the suggestion that the Neo-Pagan Goddess ages, but does not die, and is rather renewed, reveals that the Neo-Pagan concept of change is a cyclical one. It is possible to argue that this cyclical nature, and not the particular number or nature of her aspects, is what is the most important feature of the Triple Goddess. What is unique about the Neo-Pagan Triple Goddess is not the specific aspects of maiden/mother/crone, or even the number three, but the continuous cyclical movement among the aspects, whatever their number and however they are named.